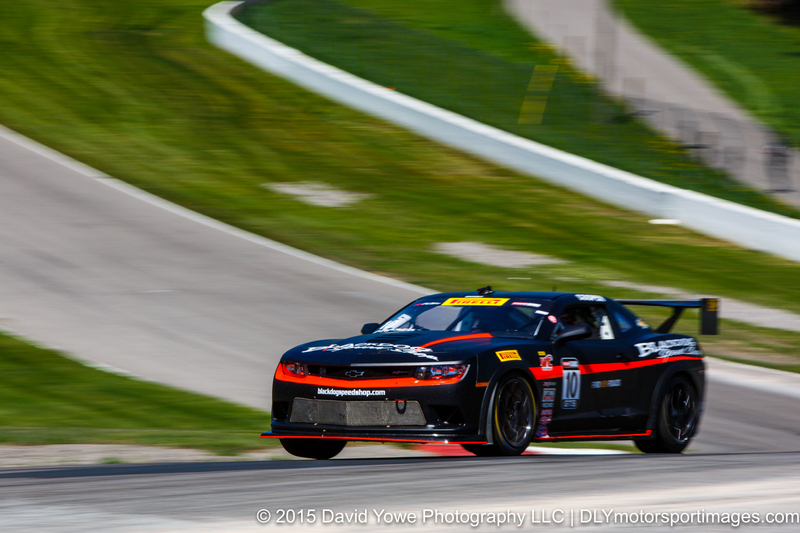 The Pirelli World Challenge (PWC) headed to Ontario Canada to be part of the Victoria Day Speedfest at Canadian Tire Motorsport Park (also known as Mosport) during the middle of May. The 10-turn natural terrain track is about 2.5 miles long. This is one of the most beautiful circuits I’ve been to with its elevation changes, variety of turns, and long straight set amongst grass-covered hills and trees. 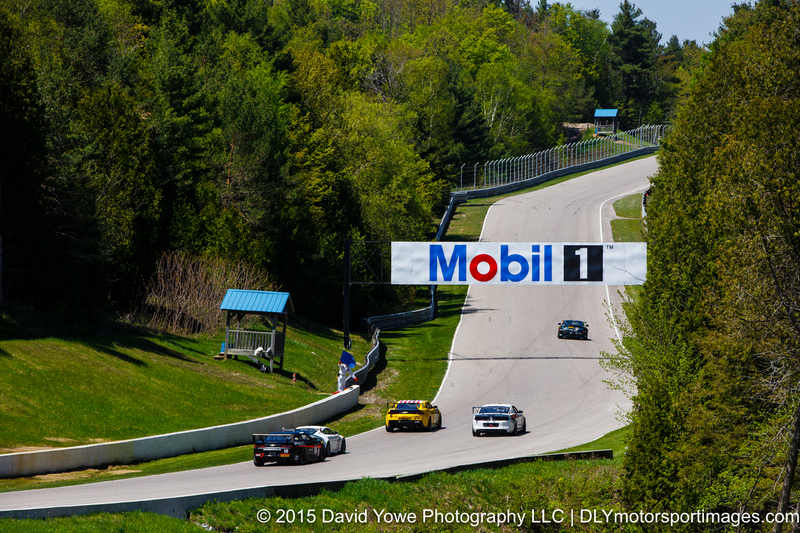 This was my first time to Mosport, and must thank all the photographers and staff who helped me, especially the Canadian phototogs! Arrived at the track in time to cover the Thursday afternoon GT and GTS test sessions. Hope you like the photos. 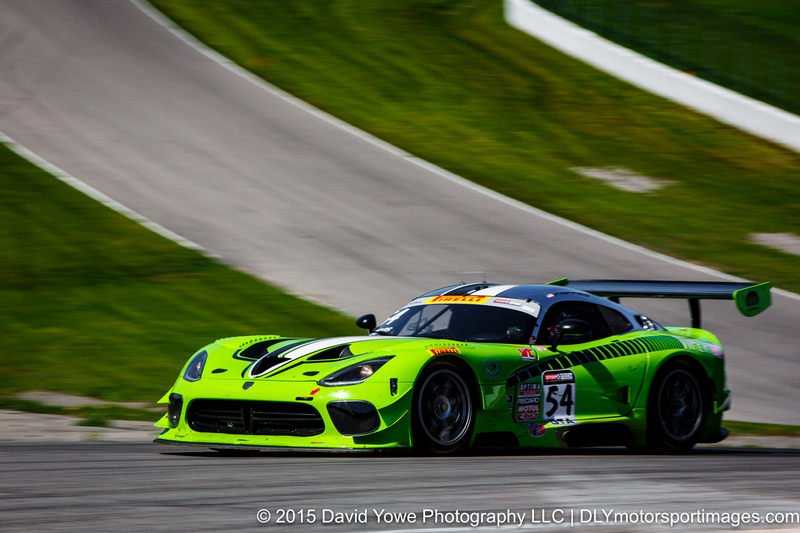 The GTS class cars were first on the track for the afternoon test session. Here’s a wide shot of Turn 5 to give you an idea of what this turn looks like with Mark Wilkins in the #38 Kinetic Motorsports/Kia Racing Kia Optima. 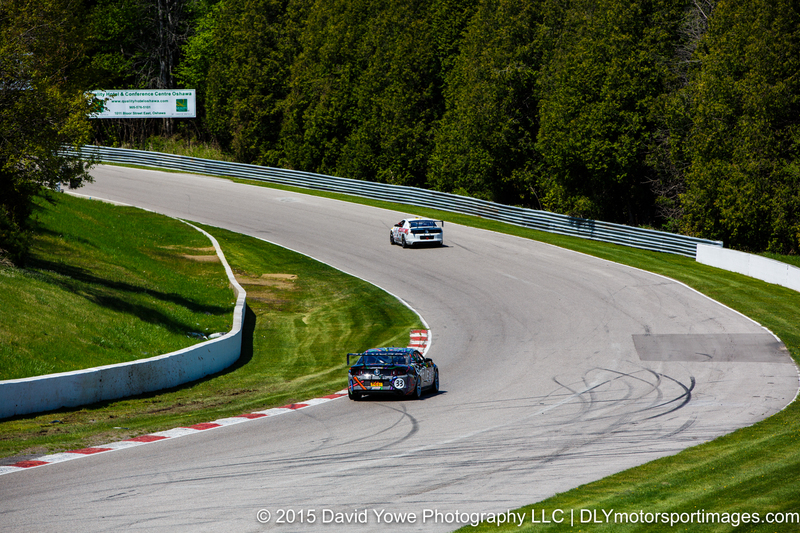 Really liked how the cars sped down, then up, and through the Turn 5 hairpin. 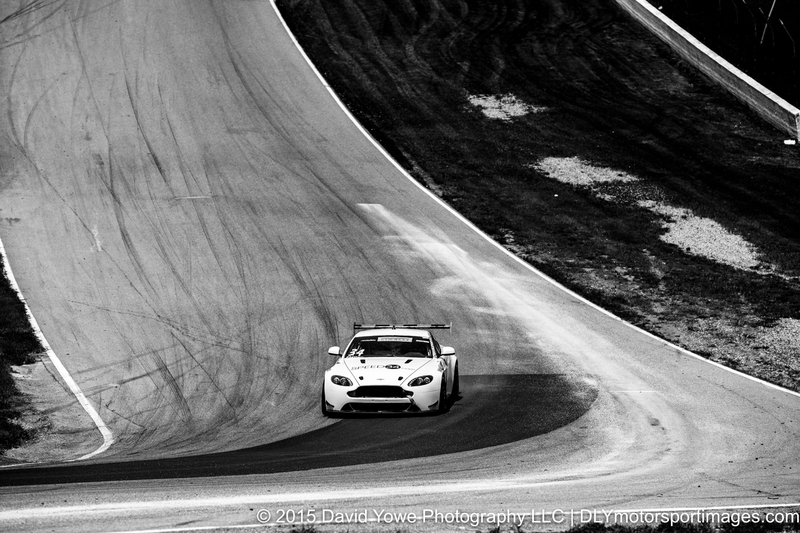 Here’s, Nick Esayian in the #34 Capaldi Racing Aston Martin Vantage GT4. 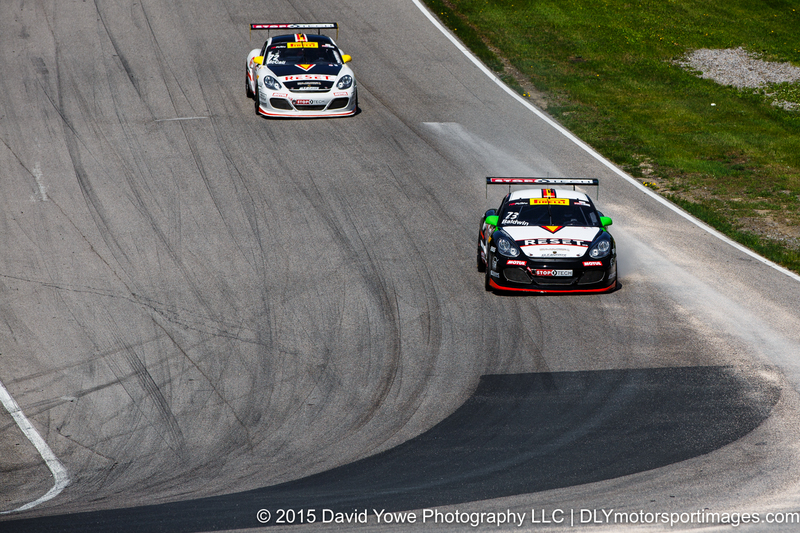 “GTSport Racing 1 and 2” with Jack Baldwin in the #73 and Buz McCall in the #72 Porsche Cayman S’s. 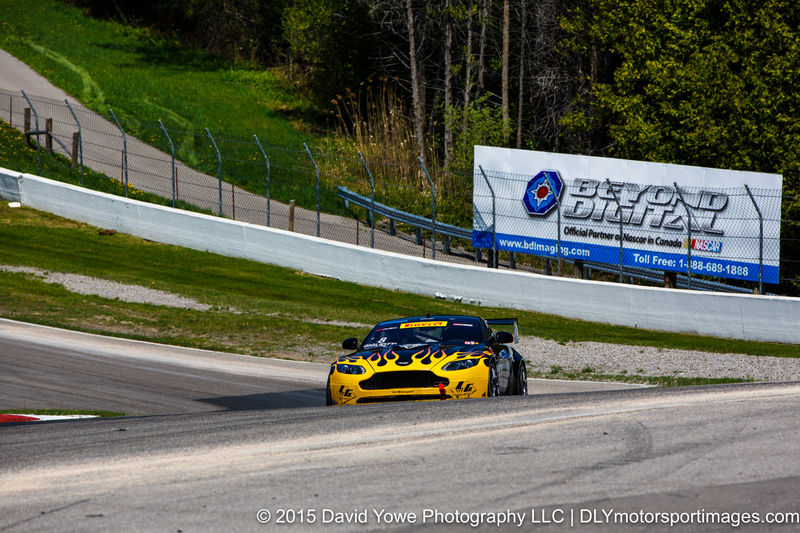 “Rising into Turn 5” with Lou Gigliotti in the #28 LG Motorsports Aston Martin Vantage GT4. 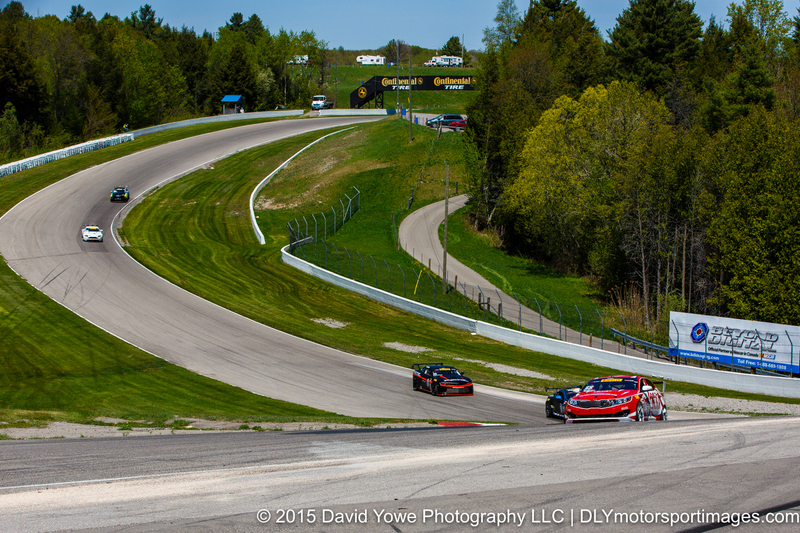 Through Turn 5 with #50 Rehagen Racing/Picture Cars East Ford Boss 302. “Lights on” with Preston Calvert in the #35 Phoenix American Motorsports Ford Mustang Boss 302. 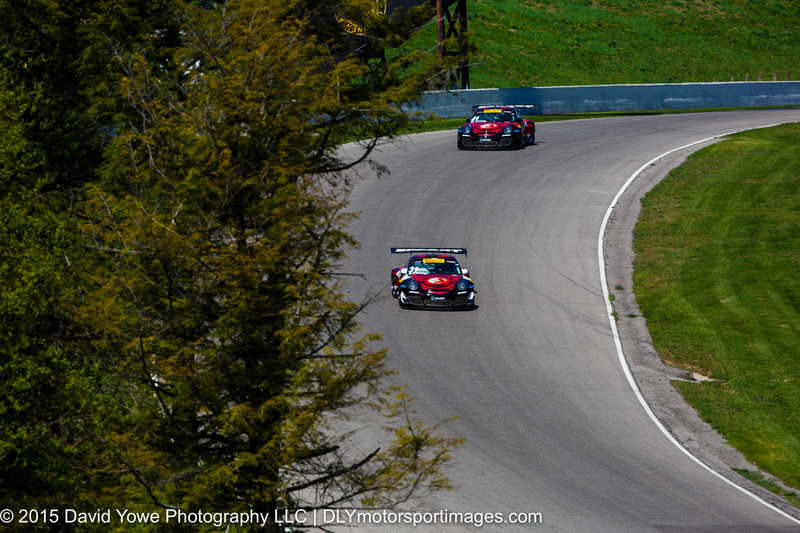 “Blue flag” with a pack of GTS class cars as they speed up the hill along Mario Andretti straight. 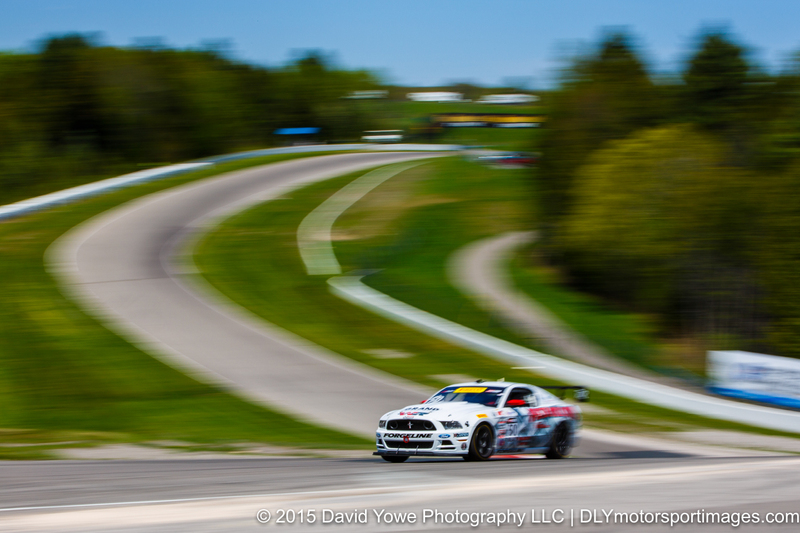 Dan Martinson in the #33 Capaldi Racing Ford Boss 302. 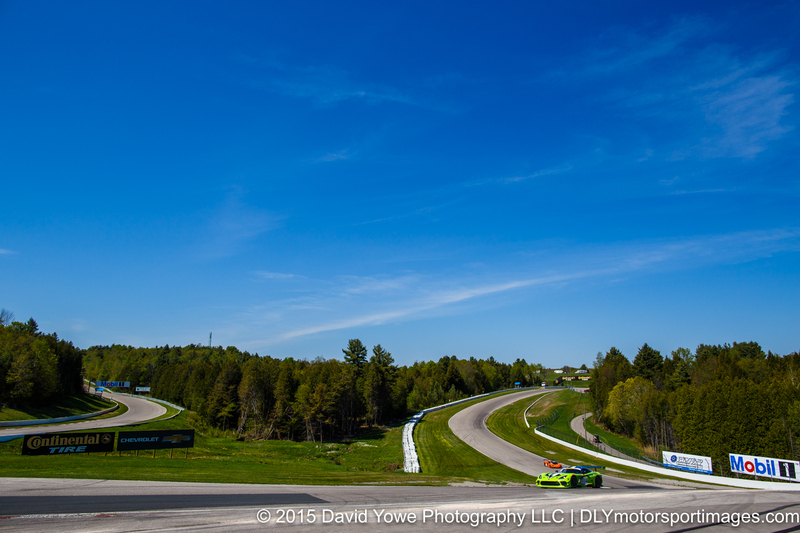 The GT class cars were next on the track for their test session under beautiful blue skies. 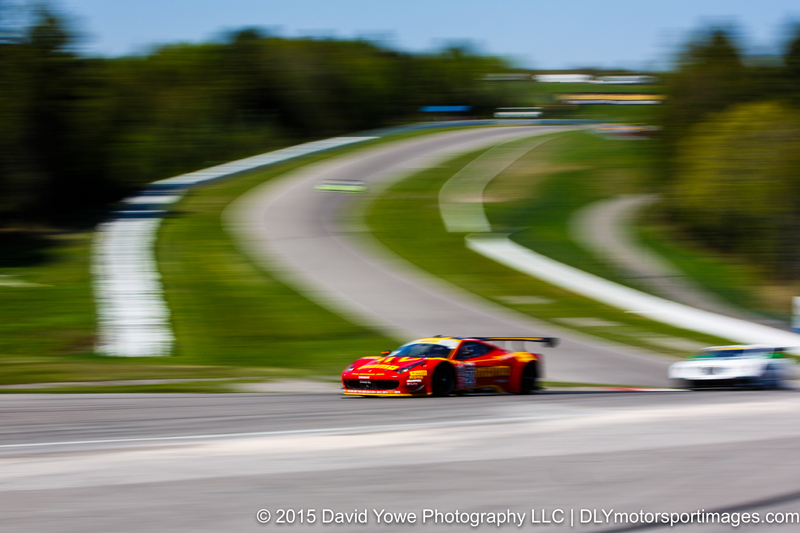 At speed with Henrique Cisneros in the #30 NGT Motorsport Ferrari 458 through Turn 5. 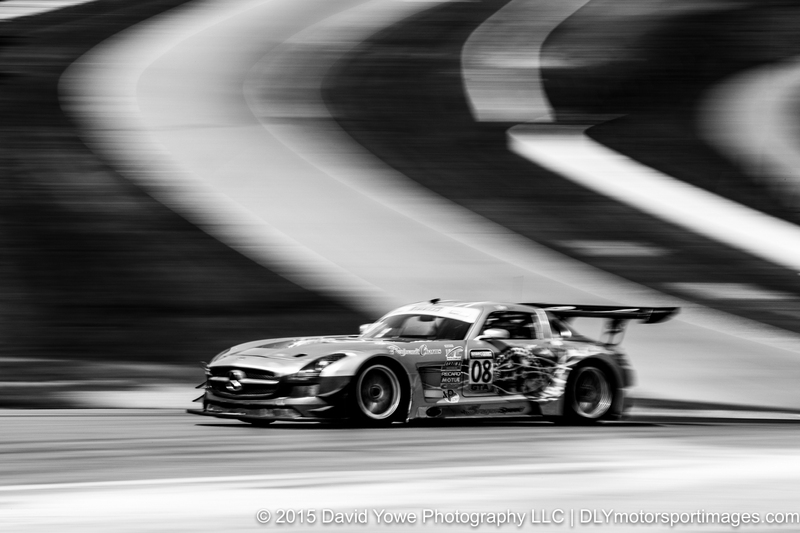 “Climbing” through Turn 5 with Tim Pappas in the #54 Black Swan Racing Mercedes-Benz AMG SLS GT3. 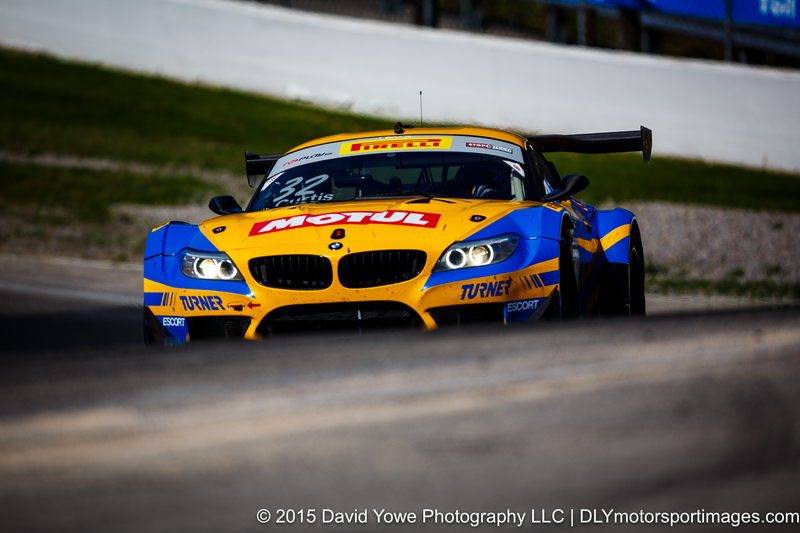 “Rising” into Turn 5 with Bret Curtis in the #32 Turner Motorsport BMW E89 Z4 GT3. 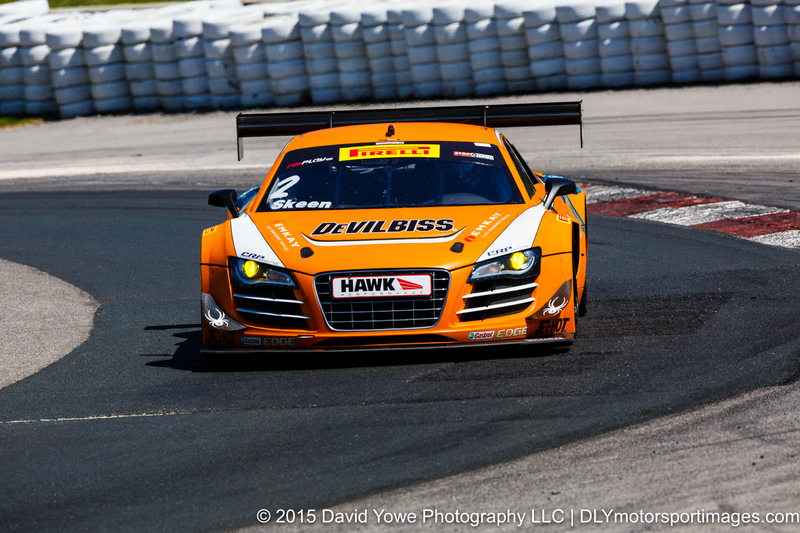 At the apex of Turn 5 with Mike Skeen in the #2 CRP Racing Audi R8. 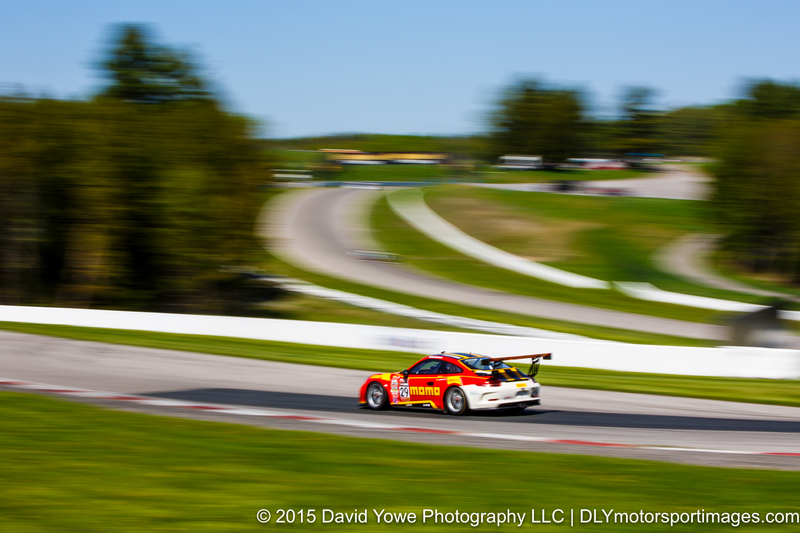 “Porsche, Porsche” with the #31 and #41 EFFORT Racing Porsche 911 GT3s. 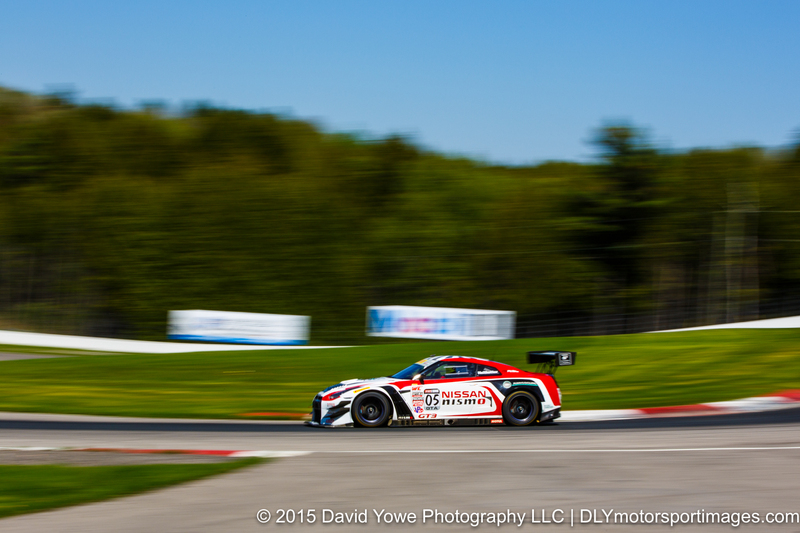 “Godzilla” on the Mario Andretti straight with the #05 Always Evolving Racing Nissan GT-R-GT 3 and Bryan Heitkotter. 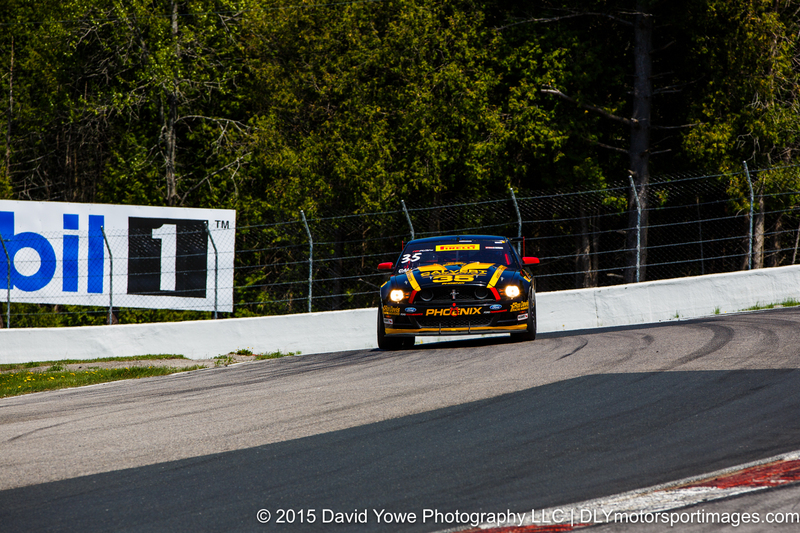 Along the Mario Andretti straight with Eduardo Cisneros in the #29 NGT Motorsport Porsche 911 GT3 Cup.